Heritage Hunt is a 55+ community in Gainesville, Virginia. Residents enjoy living in a prime location in the heart of Prince William County 30 miles west of Washington D.C. This upscale, gated community combines the area's rich history with luxurious, country club living. Here, residents can get to know their neighbors, stay in shape, become active within the community, and pursue their own personal hobbies and special interests. With a clubhouse and challenging 18-hole golf course, Heritage Hunt is sure to appeal to discerning active adults who are looking for resale homes in Northern Virginia. The amenities at Heritage Hunt are spread across three spacious clubhouses: The Heritage Hunt Clubhouse, The Fitness and Aquatic Center, and The Marsh Mansion. In addition, the Heritage Hunt Golf Course, designed by Arther Hills, provides residents with 18 holes of challenging and enjoyable play. With multiple tee boxes, this versatile course will appeal to those of varying skill levels. 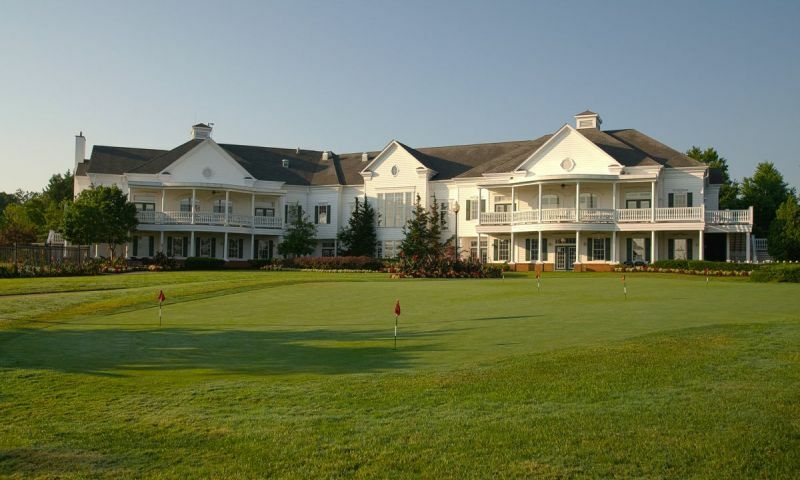 The Heritage Hunt Clubhouse contains a grand ballroom, fine dining, billiards, card and activities rooms, a comfortable lounge, and a golf pro shop. The Fitness and Aquatic Center houses an indoor swimming pool, a state-of-the-art fitness center, an aerobics studio and full men's and women's locker room facilities. An outdoor pool and spa is open seasonally as well. The historical Marsh Mansion, originally built by Colonel John Marsh, has been renovated to become Heritage Hunt's third community clubhouse. Here residents can make use of banquet facilities, a golfers' grill, a library, billiards room and meeting rooms. The banquet hall may be rented for parties, weddings and other personal events. Most of the homes at Heritage Hunt were built by Lennar and are now available on a resale basis. Homebuyers can select a condominium, attached, or single-family home that meets their needs. The Garden, Patriot, Patio, and Executive Collections each offer detached single-family homes in a variety of open floor plans. These lovely, upscale homes feature architectural design elements such as tray ceilings, gas fireplaces, plant stands and freestanding columns. Options include basements, sunrooms and porches. The community's largest homes are found within the Executive Collection. Residents who prefer attached homes can choose among the thoughtfully designed homes found in the Carriage Collection and Villa Collection. Additionally, there are 154 condo units located within four elevator-equipped buildings with covered garage parking. These are the ultimate in low-maintenance living with two to three bedrooms and two or two-and-a-half bathrooms. These beautiful residences feature two to three bedrooms and two bathrooms, including a spacious master bedroom suite. Designs also include a gourmet kitchen, fireplace, living room, dining room and den. Larger models may also include a library and breakfast room. The active lifestyle at Heritage Hunt combines history with resort-style living. A full-time activities director works to coordinate community events, organize social activities and help residents get the most out of life at Heritage Hunt. The plentiful amenities at Heritage Hunt give residents the freedom to fill their calendars with as many or few activities and events as they prefer. In addition to the activities found within their clubhouse, and the convenience of the community's own 18-hole golf course, residents can choose to participate in dozens of social clubs. These community based organizations cover a wide range of special interests and hobbies. Living at Heritage Hunt means buying into a community, and there are many ways for residents to get to know their neighbors. Located in Gainesville, Heritage Hunt enjoys a country setting that is within close proximity of Washington D.C. Retirees and working adults alike will enjoy the many options of public transportation into Washington D.C. The Linton Hall Road commuter bus stop is about six minutes away which then connects to the West Falls Church Metro stop, making trips into D.C in under two hours. While residents can appreciate all the shopping, dining and cultural attractions found within the nation's capital, there are many attractions that are closer to home. A range of entertainment events can be found at both the Nissan Pavilion and the Wolf Trap Center for the Performing Arts. Shopping and dining is available in Old Town Manassas, at the nearby Fair Oaks Mall, or in the sprawling outlet center at Potomac Mills. Excellent healthcare is available at nearby hospitals, and those interested in continuing education may explore the programs available at George Mason University or Northern Virginia Community College (NOVA). The Heritage Hunt Clubhouse is a 28,000 square-foot recreation center that offers amenities for everyday activities. Heritage Hunt Clubhouse - 28,000 Sq. Ft. The Marsh Mansion - 8,000 Sq. Ft. There are plenty of activities available in Heritage Hunt. Here is a sample of some of the clubs, activities and classes offered here. The Carriage Collection offered four attached home models with 1,204 to 1,381 square feet of living space. Most homes have two to four bedrooms, two to three bathrooms, and an attached two-car garage. Heritage Hunt contains 154 condo units within four elevator-equipped buildings. These low-maintenance residences include two to three bedrooms, two or two-and-a-half bathrooms, and parking within a covered garage. The Villa Collection offers attached homes that range from 1,348 to 1,876 square feet in size. Most homes have three to four bedrooms, three bathrooms, and an attached garage. Situated on courtyards, these homes were built with spacious interiors, walk-in closets, and hardwood floors. The Garden Collection's single-family homes range from 1,715 to 1,952 square feet in size. The three models offered three to four bedrooms, three bathrooms, and an attached two-car garage. Homebuyers will enjoy these open floor plans with tray ceilings. Please note: Only two Birchfield models were built in the community. Square footage is not available at this time. There were three models offered in the Patio Collection. These single-family homes were designed with three to four bedrooms, three bathrooms, an attached two-car garage. Some homes throughout the years were built with optimal basements as well. There were four models offered in the Executive Collection between 2,040 and 2,599 square feet in size. These homes offer one to four bedrooms, two to three bathrooms, and a two-car garage. These are the largest single-family homes within Heritage Hunt and features included hardwood floors, oversized kitchen cabinets, and front porches. The Patriot Collection's single-family homes offer two to four bedrooms, two-and-a-half to three-and-a-half bathrooms, and an attached two-car garage. Living in Heritage Hunt is a dream come true! The golf course is fantastic, as well as the clubhouse, pool, and fitness center. Some of the homes are a little older, and need a little work, but many have been completely renovated. Regency at Doninion Valley is a beautiful community. We love everything that this community offers and are very happy to be living here. Susan was wonderful in many ways. She was kind and helpful as well as knowledgeable. We were very pleased and fortunate to have her as our realtor. We recommend her highly for anyone who is interested in buying home in 55+ community. We were residents in Heritage Hunt for six years. Our experience was great. The community is set in a beautiful area and landscaped to perfection. The professional golf course offers beautiful vistas and challenging play. We enjoyed the tennis courts, beautiful swimming pool and fitness center. The club house and dining area are beautifully appointed. The view is magnificent. Heritage Hunt is very close to many shopping areas. It is located right off route 66, conveniently located for a commute to Washington D.C. or points west. Heritage Hunt is a very nice community. We purchased one of the last new construction homes available and have been very happy with it. The clubhouse facilities are wonderful and are all very elegant with traditional designs. They did a great job with the Marsh Mansion, it is beautifully restored and very lovely to visit. The lifestyle and amenities here have exceeded our expectations. 55places.com is not affiliated with the developer(s) or homeowners association of Heritage Hunt. The information you submit is distributed to a 55places.com Partner Agent, who is a licensed real estate agent. The information regarding Heritage Hunt has not been verified or approved by the developer or homeowners association. Please verify all information prior to purchasing. 55places.com is not responsible for any errors regarding the information displayed on this website.